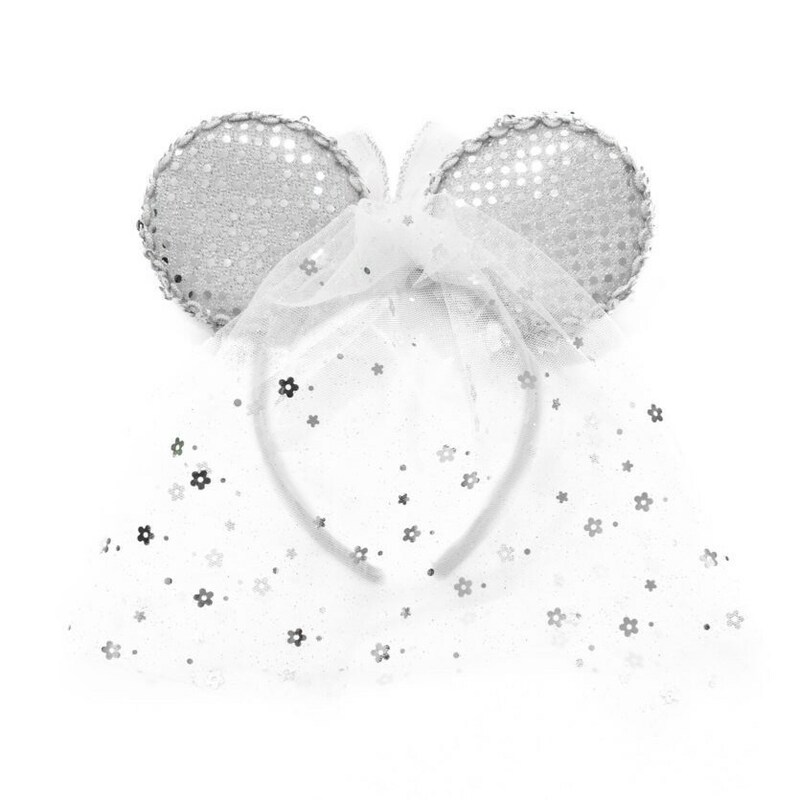 Sparkle and shine when wearing this amazing Kitty Katrina Bridal Mouse Ears! 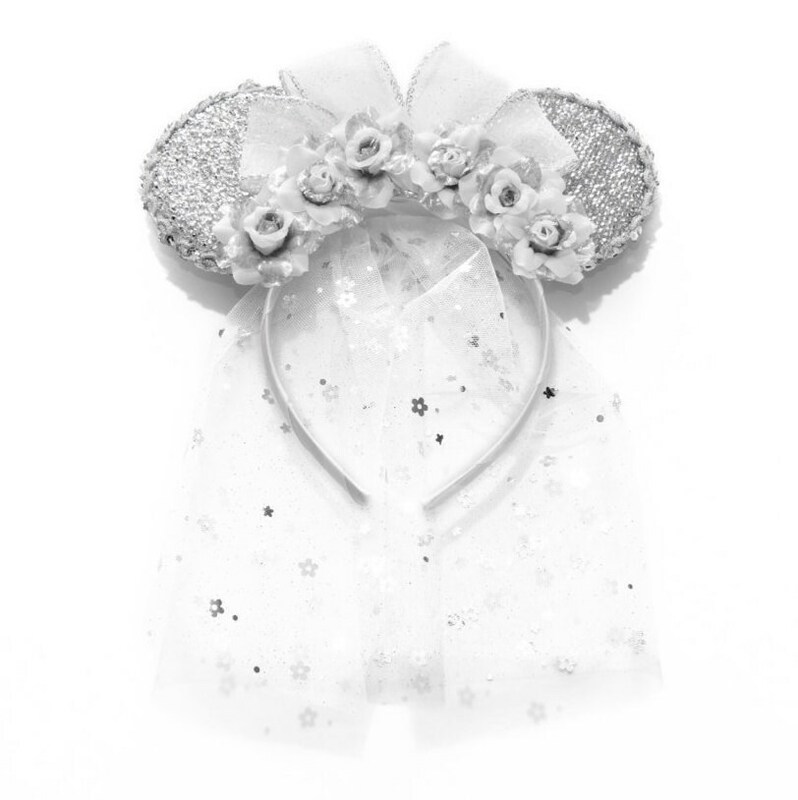 This beautiful headband features a handmade, sparkling white / silver sheer bow, along with white silk and silver metallic roses placed on a sparkling silver mouse ear headband. An elegant, handmade, silver floral sequined white veil is placed on the back to complete these bridal mouse ears (see images for front / back). Product Details: 1 Headband is included in this purchase. This Headband fits most head sizes. The ears extend roughly 3-4 inches from headband. Each rose is roughly 1.75" in diameter. The sequin veil extends roughly 10 inches from headband and should be treated with care.